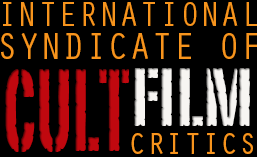 Despite its very ISCFC-like bad guys (hordes of the undead) you’d think this would be perfect fodder for us, but its status as an A-lister-starring, multi-million-dollar production leaves it out of our wheelhouse. But then I remember we’ve covered all sorts on here, including one TV series, so I decided to give it a go anyway. Two of my favourite books of recent years are “World War Z” and “The Men Who Stare At Goats”. While one is fiction and one isn’t, they’re both basically unfilmable, being made up of non-narrative sections, and having no real throughline to them. Well, not one that could support a film. Hollywood decided, due to their popularity, to have a go at filming them both, and as far as “…Goats” is concerned, I think they failed. It fell between too many stools and the narrative they forced on it didn’t fit the story. 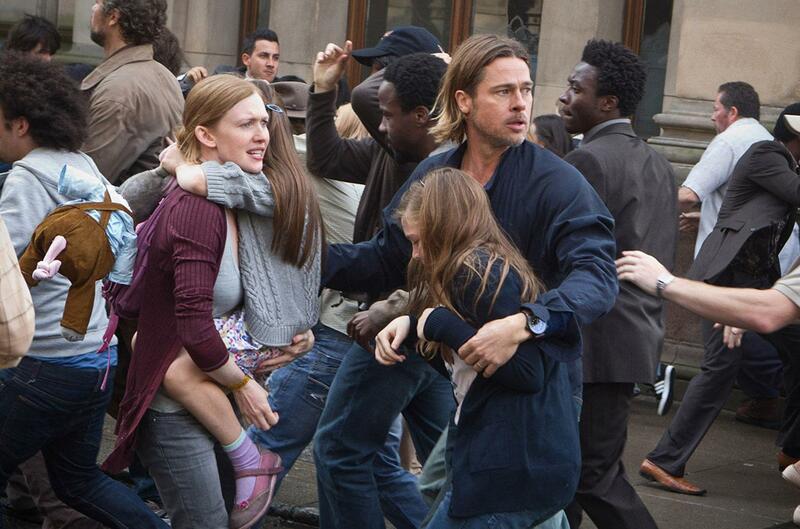 “World War Z” does, at least, progress in time, but how did they do with it? The narrative imposed on this is having a UN investigator go to the places that the book mentions, showing how the zombie outbreak has affected different countries and cultures, and trying to figure out a way to stop it. 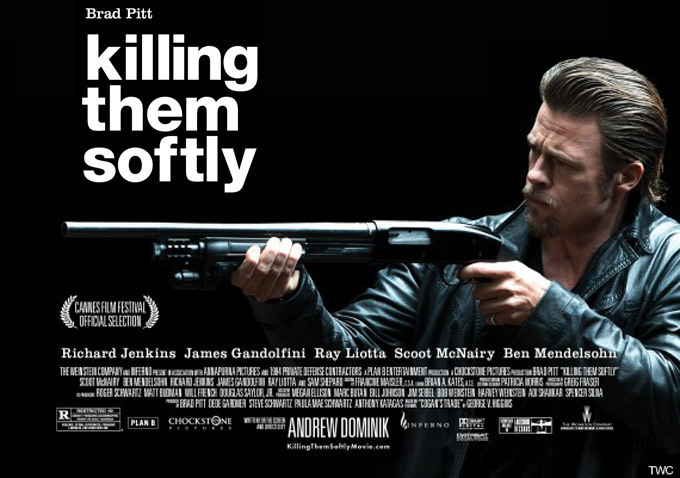 The book is interviews with survivors, which makes more sense than Pitt having to propel himself across a rapidly disintegrating world in a huge unwieldy aircraft. Because this is a big budget Hollywood film, he has a family which he had to leave behind (on an aircraft carrier), so we’ll get the occasional cut-back to them, looking worried. It’s a film of set pieces, really. And they’re often amazing – the initial outbreak in Philadelphia, the passenger jet and what happens in Israel are all absolutely fantastic spectacles. The unending sea of undead is very obviously CGI, but if you can squint and look past that, it’s an amazing alternate view of a large group of people. The problem is, everything that’s not a set piece. Reading a little about the movie, it “suffered” an enormous amount of pre-release editing, last minute script changes, delays and so on, and what comes across on screen as weirdly disjointed begins to make a lot more sense. There’s no real arc to any of it – the presumed defeat of the zombies happens entirely offscreen, and the film ends minutes after Pitt figures out a way to not defeat them as such, but to level the playing field a little. His family are threatened with being moved off the safe aircraft carrier to an unsafe location on an island; but when they are moved, it’s fine and looks rather lovely when we see it, and provides no threat whatsoever (at least, no threat they show on screen). It’s difficult to review this on its own merits because it’s taken some fantastic source material, thrown out all the interesting stuff and just turned it into a fairly standard movie. 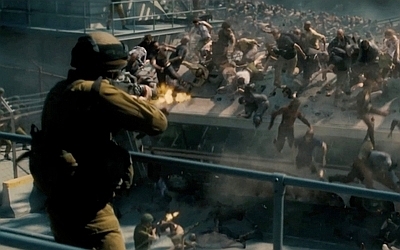 Good looking, amazingly competent Hollywood star cruises unharmed through world of CGI zombies. But I’ll try. Even as a standard movie, it has the problems listed above – disjointed, distracting CGI, the feeling that it’s ended about a third of the way through the story. I don’t know. Maybe I’m being too hard on it. I wasn’t bored through the 2 hours of running time, and there’s a few great performances dotted around in there. 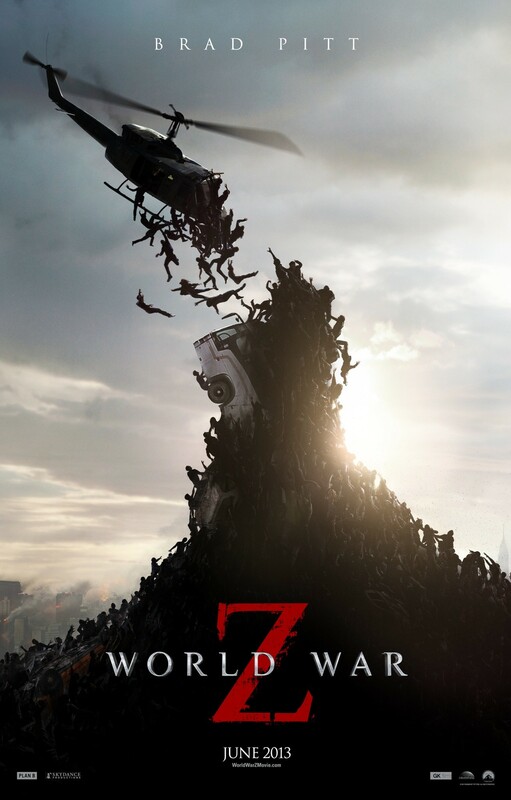 I don’t think there was any one big decision that ruined it or anything, just a series of little compromises and poor choices that ended up with a film which looked nothing like the source book, to the point where you’re left wondering why Brad Pitt felt he needed the book’s title to sell a big-budget zombie film starring himself. If someone had stopped everything and gone “what are we doing here?” at some point, I get the feeling it could have been greatly improved, but $200 million movies have their own weird momentum, I guess. It both could and should have been great, but we ended up with something which I imagine pleased no-one.